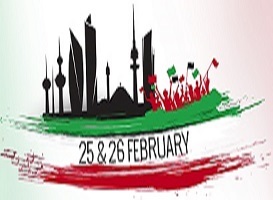 Based on the official announcement issued by the Civil Service Commission regarding Kuwait’s National & Liberation Day, please note that Kuwait government has declared Sunday, February 24th as an official holiday. Therefore, BIS will be closed from February 24, 2019 through February 26, 2019 inclusive. Official working hours will be resumed on Wednesday, February 27, 2019.